Pucker Up! 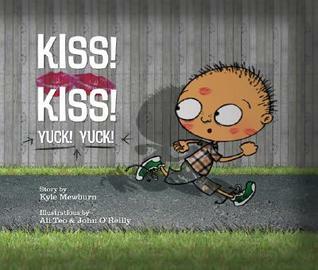 It’s World Kiss Day! 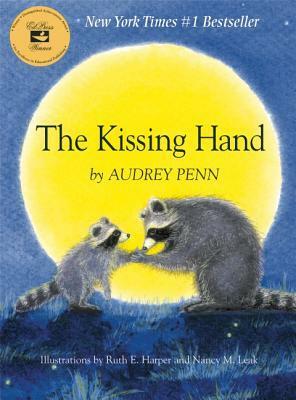 Chester Racoon is afraid to go to school, but his fears are squelched when his mother gives him a kiss to hold in his hand all night. When Chester sees how sad his mother will be to have him gone, he realizes that she will miss him too. So Chester runs back to give his mother a kiss on the palm of her hand to keep with her all night as well. Oh no! Baby Hippo forgot to give his mama a kiss good-bye. 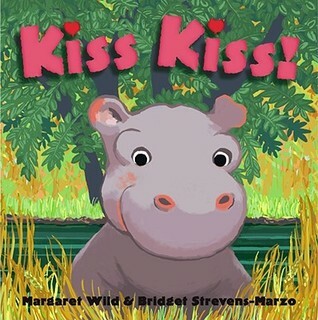 He has to retrace his steps under the leafy leafy trees, through the long long grass, around the bumpy bumpy rocks … until he finds his mother again and gives her a great big kiss-kiss! Every time Auntie Elsie came to visit Andy got ready to run. But Andy was too slow, and Auntie Elsie grabbed hold and planted sloppy kisses all over his face! “Yuck! Yuck!” he said to himself. Andy tried hiding under his bed, in the chicken house, up a tree, in the pig pen, among the spiderwebs… wait, Auntie Elsie never came. His father told him she had fallen off a camel in Australia and broken her leg. Andy waited for weeks for her return. When she did come hobbling out of the taxi on crutches, Andy swooped out and grabbed her. Then he gave Auntie Elsie the Kiss! Kiss! and a Hug! Hug!